The Community College Pathways initiative is composed of two pathways, Statway® and Quantway® that provide post-secondary students with accelerated means to complete developmental mathematics sequences and attain college-level mathematics credit. Since its inception in 2011, the Pathways initiative has made tremendous strides toward reclaiming thousands of students’ mathematical lives. 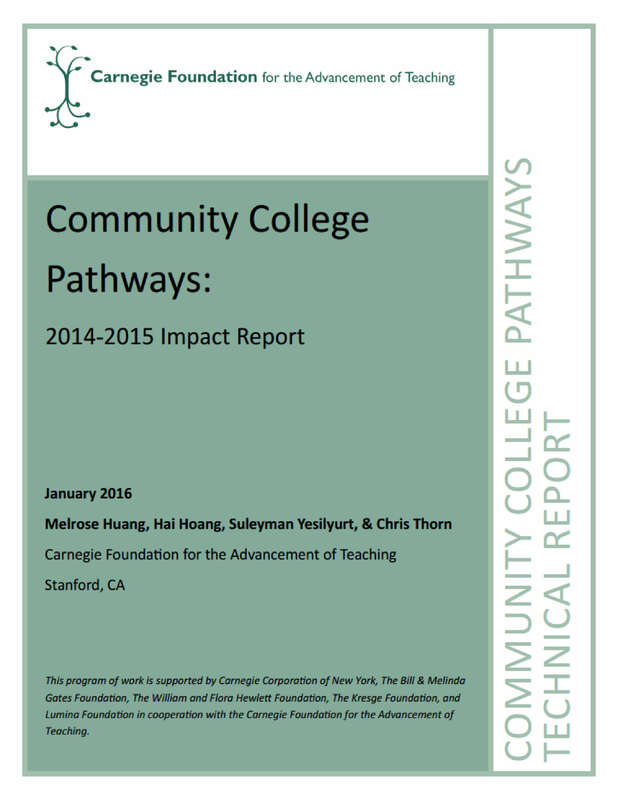 In 2014-2015, the Pathways sustained the remarkable results seen in the Pathways’ first three years of implementation, including successful course completion rates of approximately 50 percent for both Pathways. Notably, the program was able to achieve these outcomes while serving over three times as many students as in its first year.